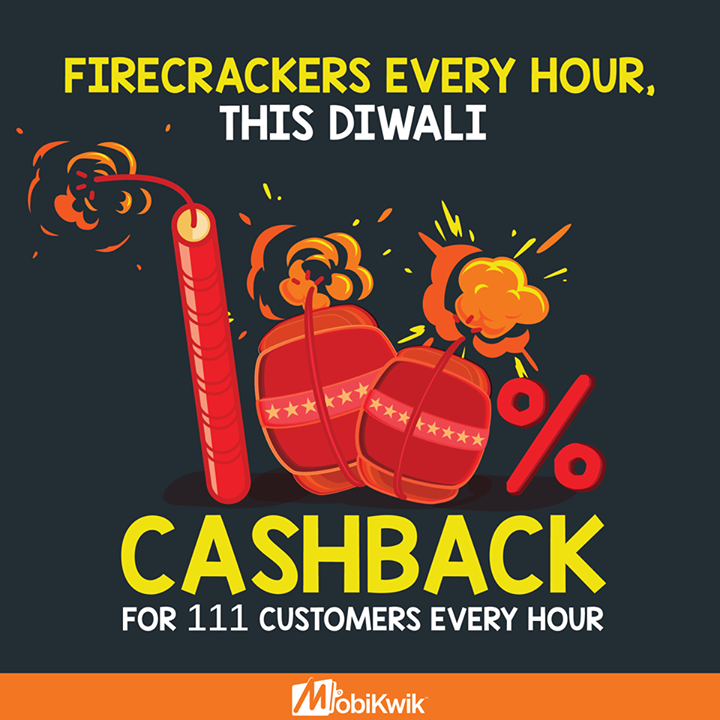 Mobiwkik has come up with an exciting cashback offer this Diwali. 111 customers can win flat Rs.100 cashback every hour starting 11 AM in the morning till 11 PM in the night on 11 November 2015. Hurry up!! The offer is valid only today. Minimum transaction amount is Rs.100. First 111 customers who transact during each of the 12 hours from 11 AM to 11 PM on 11th November 2015 will get Rs.100 cashback on recharges and bill payments. Minimum transaction amount( Recharge or Bill payment) is Rs.100. Offer is valid from 11 AM to 11 PM on 11 November 2015. Mobikwik Cashback will be credited in 24 hours of valid transaction. MobiKwik reserves the right to terminate the offer anytime.